FAST & FREE Expedited Shipping On Orders Over $35! 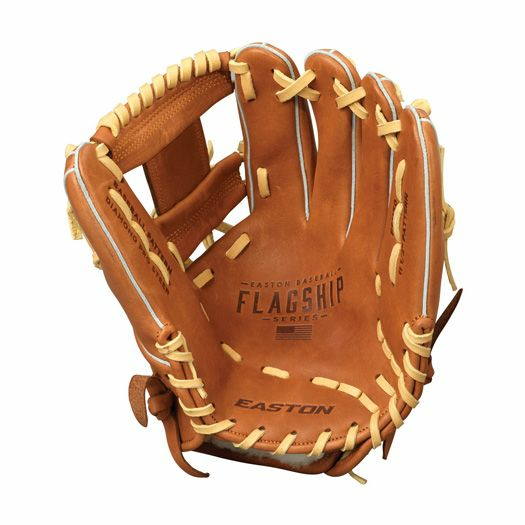 Built to offer the feeling of pro-style patterns and perform at nearly every position, the all-new Easton Flagship Series 11.5” Adult Baseball Infield Glove has been made from a Diamond Pro Steer Leather Shell that has its feeling tripled thanks to an Oiled Classic Cowhide Palm and Finger Lining, creating an unmatched feel compared to any other glove in its slot. 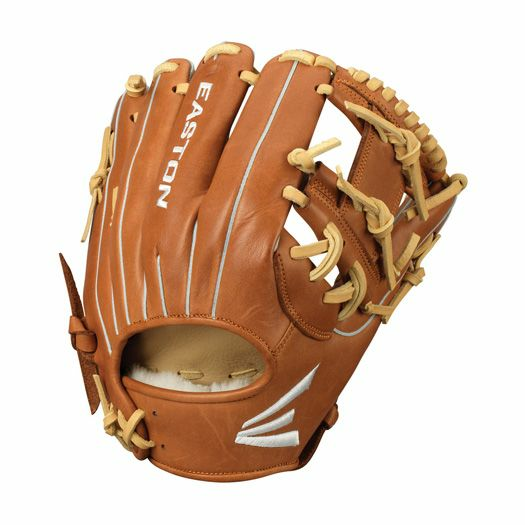 This Easton infield glove also features a Split Grain Leather Welting that adds strength where you don’t even need it, reinforcing the shape you formed when breaking in the glove. 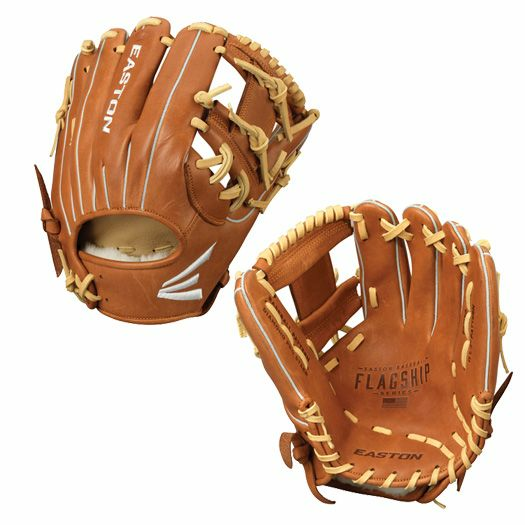 Also including features that add to its lifespan and luxurious feel, the all-new 11.5” Easton Flagship Series Adult Baseball Infield Glove will instantly become a staple to your game no matter how many innings you play a year. -	Oiled Classic Cowhide Palm and Finger Lining: maximizes comfort and feel. -	Split Grain Leather Welting: adds rigidity and strength to reinforce the shell shape. -	Pro Grade Rawhide Laces: provide extra pocket durability. -	Steerhide Binding: increases overall glove longevity.